Fernwood is one of the country’s first environmentally conscious green cemeteries, where land stewardship and restoration is integrated with cemetery and burial ritual. 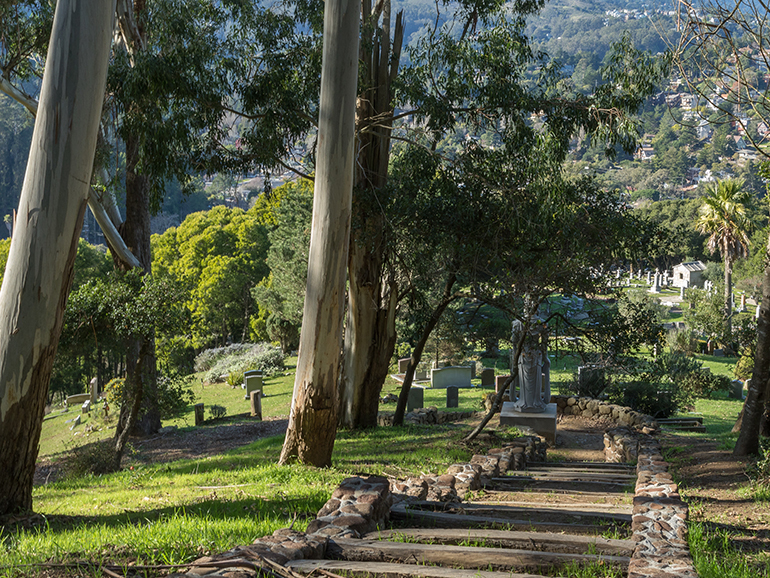 Located in the San Francisco Bay Area, we are one of the only green cemeteries in the state of California. 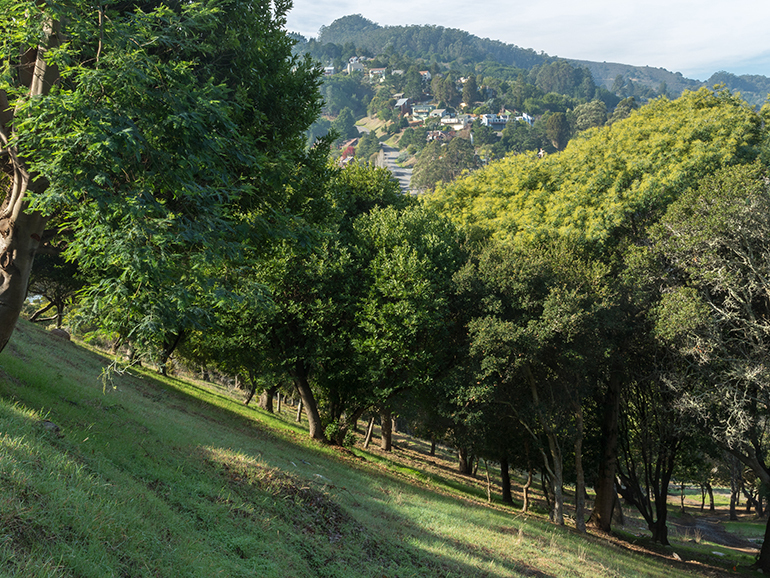 The rolling hills of our grounds include both forest and meadow burial sites, many with views of Mount Tamalpais and the Golden Gate National Recreation Area. 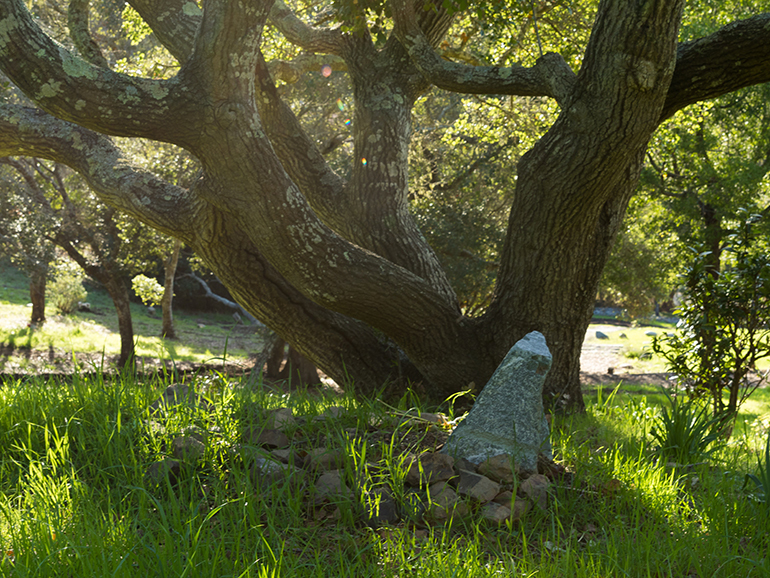 Green, or natural burial involves no embalming or chemicals of any kind, and no grave-liners or vaults are necessary. Instead, the body is allowed to recycle naturally back to the earth. Fernwood provides both full body and cremation burial options in the green area of our cemetery. We allow only biodegradable burial containers, such as a natural wood or wicker caskets, fabric shrouds or wood cremation containers. As part of our land stewardship, graves at Fernwood are dug by hand, and graves are not marked with traditional cut and polished headstones or bronze markers. Instead, a small, natural boulder can be engraved and used as a marker. Some families choose to simply allow their loved one’s gravesite to blend into the natural environment – where every tree, flower, songbird and butterfly becomes a living memorial. We map each grave using Global Positioning Systems (GPS) and mark every burial with an identification device to ensure that a family can always find their loved one’s location. As a National Wildlife Federation Certified Habitat, our cemetery provides a sustainable habitat for wildlife to live and raise their young. 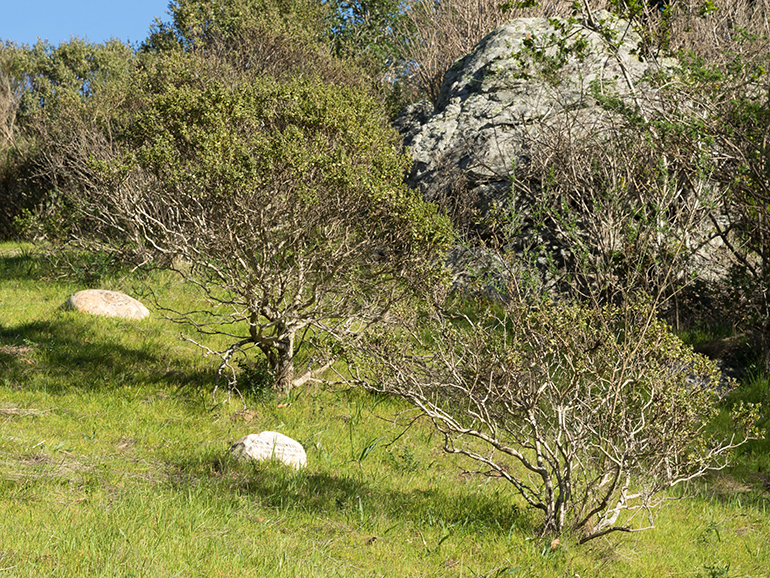 Our hillsides are blanketed with heritage oak and bay laurel trees, towering over ferns and native grasses. Songbirds, squirrels, deer, and even a bobcat or two have chosen to make Fernwood their permanent home. The Restoration of Fernwood’s Coastal Prairie. Memorial Interpretation: High density of wild flowers provides a seed bank for surrounding lands and habitat for butterflies, also the eradication of broom and other invasive species. 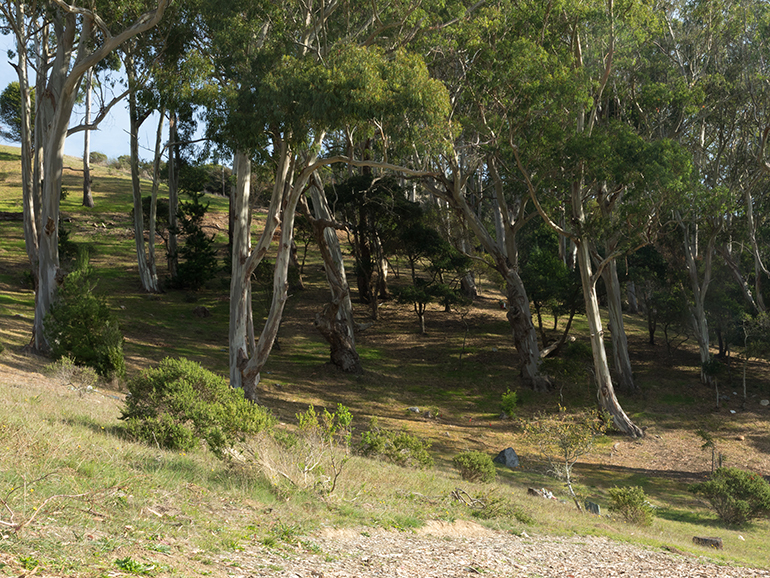 Graves are nestled into a hillside with views down Tennessee Valley and hiking trails into Founders’ Forest and Golden Gate National Recreation Area. The Restoration of Fernwood’s Coastal Prairie. Memorial Interpretation: High density of wild flowers provides a seed bank for surrounding lands and habitat for butterflies. On-going eradication of broom and other invasive species. 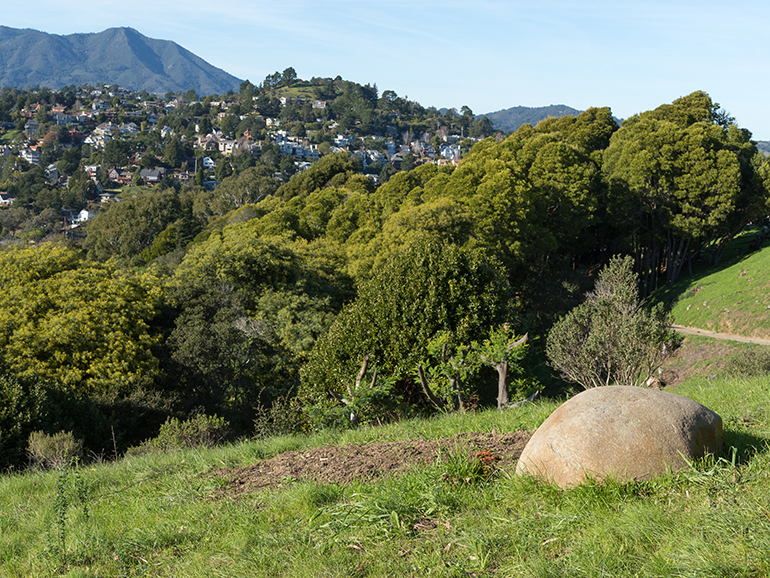 Graves are nestled into a hillside with views of Mount Tamalpais with hiking trails into the Ancestral Forest. 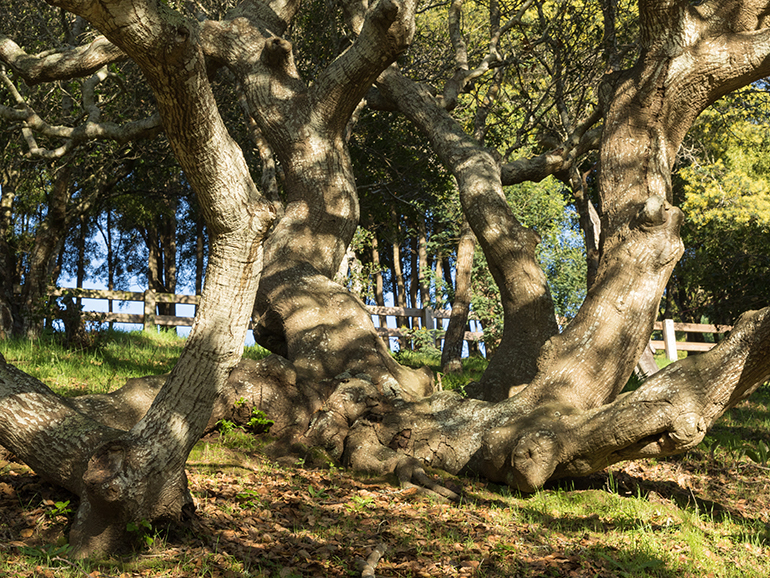 Memorial Interpretation: The Founders’ Forest represents the pre-restoration of an Oak woodland with the removal of invasive Eucalyptus Trees and other invasive species. These spaces exist in this tranquil wooded area of Fernwood. A meandering trail makes its way through the trees starting from the pioneer section heading towards the Golden Gate National Recreation Area. 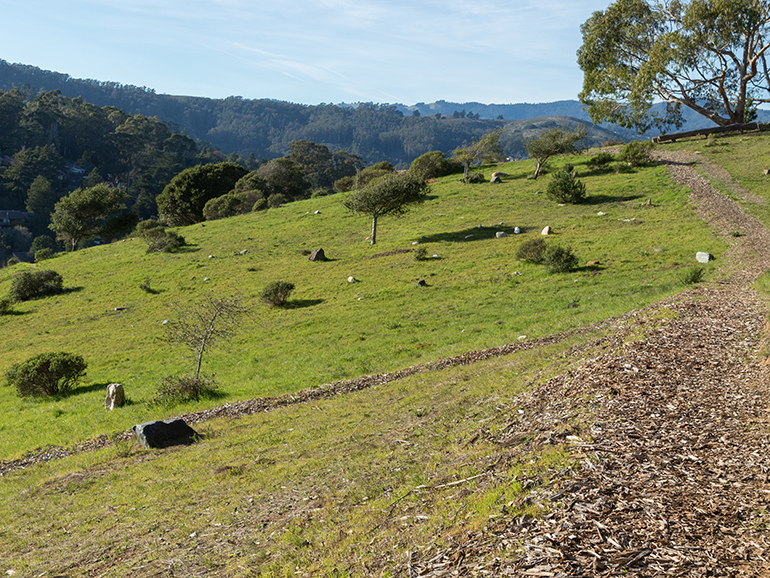 Cremation spaces only exist on this hillside meadow at Fernwood. A rustic trail leads from Upper Meadow to Golden Gate. Note: Not easily accessible. 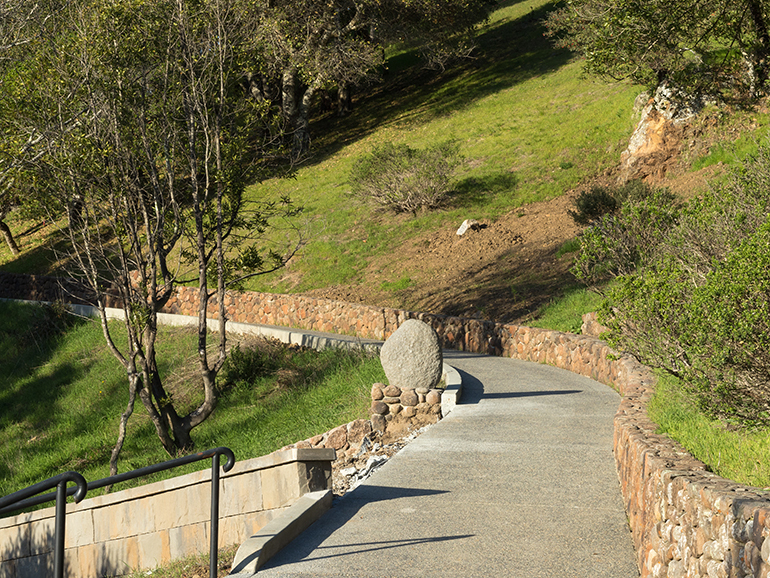 This easily accessible area defines the boundary between the historic cemetery and the natural burial areas. These hillsides are being restored to natural grasslands with scattered Oak and Bay trees as the Eucalyptus are gradually removed. Founders Transition features sweeping views of Tennessee Valley and Mt. Tamalpais. Premium location area on a grassy knoll with views of Mt. Tamalpais and Golden Gate National Recreation Area. 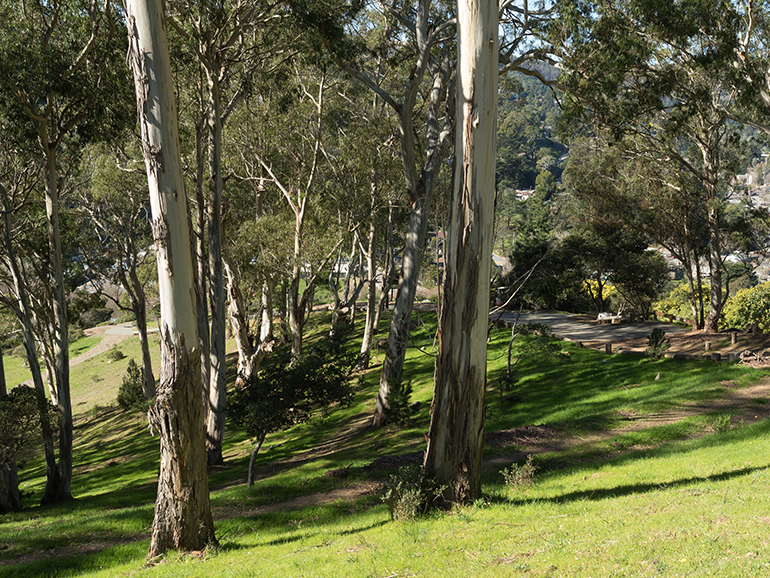 Family estate area amid oak and bay trees situated above the Fernwood historic cemetery with views of Mt. Tamalpais. Cremation spaces only exist at this highest point on the grounds. 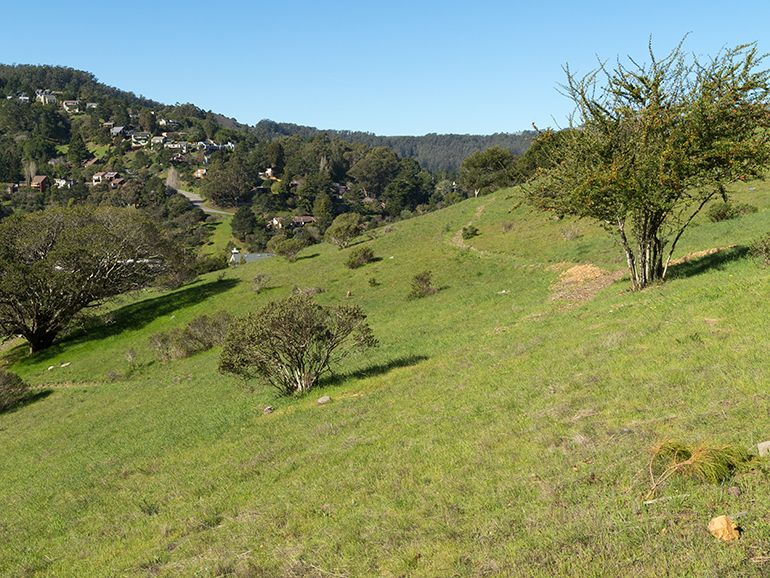 Bordered by forests below, this meadow affords views of the valley below and the adjacent Golden Gate National Recreation area. Note: Not easily accessible. Gan Yarok is a natural burial Jewish cemetery within Fernwood and located on a hillside meadow reached by a meandering trail through the Ancestral Forest. Orthodox, Conservative and Community sections within Gan Yarok each carry specific burial rules and regulations. Gan Yarok Expansion is a natural burial Jewish cemetery within Fernwood and located on a hillside meadow reached by a meandering trail through the Ancestral Forest. Orthodox, Conservative and Community sections within Gan Yarok each carry specific burial rules and regulations.